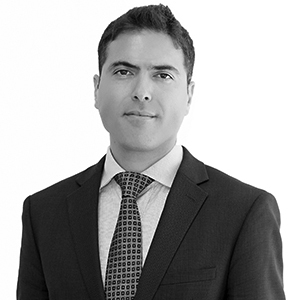 Bachir A Chakra is a Senior Associate in the Intellectual Property (IP) practice in Dubai. He has over 11 years of transactional and advisory experience and works on a broad range of IP contentious and non-contentious matters. Bachir specialises in the full spectrum of IP matters from conception and protection to commercialisation and enforcement. In addition, Bachir has experience in all commercial transactions that have a bearing on IP, having advised various clients in the media, franchising, distribution, licensing and procurement fields. He is particularly skilled in drafting and negotiating contracts pertaining to such matters and in resolving IP related disputes. Bachir routinely advises a wide range of the firm’s listed and unlisted clients on brand and copyright protection, commercialisation and enforcement. Dubai Multi Commodities Centre, one of the UAE’s largest and fastest growing free zone, on brand protection and filing strategy in respect of its new line of products. Careem Networks FZ LLC, an online platform provider of transport services, developed its precedent IP licensing agreement and advised on IP ownership and registration requirements. Gulf DTH FZLLC (OSN), a Dubai Media City based a leading satellite broadcaster, developed its new template channel distribution agreement for use with the third-party content providers. A multinational hotel and resort chain company, an international chain of hotels, on brand protection strategy and enforcement and managing the litigation of trade mark infringement cases in the Middle East. Irdeto B.V., a leading digital platform security, on enforcing its copyright to its encryption software and access cards for pay media operators, in the KSA and the UAE. Carmenta Pte Ltd., a leading IT solutions provider, developed its precedent IP assignment and intergroup licences, advised on its acquisition and counter-licensing of third party owned IP.